You Can’t Time The Market! The ‘right time’ to invest was yesterday. The Standard & Poor’s 500 – often abbreviated as the S&P 500, or just the S&P was introduced in 1923, but fully realized in its current form on March 4th 1957. CBOE Volatility Index or VIX – a measurement of expected volatility implied by S&P 500 index options, created by the Chicago Board Options Exchange on January 19, 1993. This last one is sometimes referred to as ‘the fear index’, and moves inversely to the S&P. You want this one to plunge. I will be limiting the scope of this blog post to the American stock markets and economy. I have very little experience with foreign stocks and markets. One important thing to note, the stock market is driven by investment expectations and is an ’emotional’ response to the economy. It is not the same thing as the economy, but it can impact it. There are many factors that impact the market that can include everything from oil prices to politics to weather. Ultimately, shrewd investors study multiple factors before committing their stock trades as past performance is never an indication of future earnings. No one can know the future, but we can study the past and make an educated guess. Quite often a few misguided friends and co-workers tell me that they are waiting for the right time to invest in the market. Fear of a correction or a crash keep them from potential earnings. Poor spending habits hamper their ability to invest. Ignorance and the refusal to seek wise counsel on fiscal issues keep them in poverty. You cannot spend your way into prosperity, the only sure-fire way to get rich is by making diverse, informed investments over a long period of time. You can’t achieve this if you spend every penny you make on food, ‘toys’, and entertainment. You need to first get your financial house in order because the money you use to invest must be disposable income not earmarked for essential monthly expenses. Refer to my many earlier blog posts on finances, planning, and budgeting. But a crash is coming! Maybe. Maybe not. And, so what? There have been 14 crashes in the history of the Dow. The market has ALWAYS rebounded usually within a matter of months. The longest recovery period was from the Great Crash on October 24th 1929 which lasted four years and then led to the Great Depression. When Trump won the election, there were a lot of newscasters , Democrats, and entertainers who said the country was DOOMED! I had a discussion with a very upset friend at work who thought that this was the end of the world. On Nov 07, 2016, the day before the election, the Dow closed at 17,994.64. I was hoping and praying that Trump won, because I fully believed that a Clinton win would be the death of the U.S. and a disaster for its economy. Being precautious, I moved all of my investments out of the market, just in case the unthinkable happened and ‘That Woman’ won. (I had done the same thing in the 2008 election, more on that later.) Fortunately the best man won. The Dow shot up nearly a 1000 points over the next week, a gain which I missed out on because I couldn’t move my investments back fast enough. It kept going up. About two or three weeks after the election, I told the same co-worker that I had read several financial analysts who predicted the Dow would hit 30,000 by the end of Trump’s first term, and 50,000 by the end of his second term should he win again in 2020. I EVEN showed him the articles stating this. He didn’t believe it, not a word, and dismissed it as propaganda. As of Friday January 5th 2018 the Dow closed at 25,295.87! #2 There’s an old Investment adage – Sell in May and go away, but remember to come back in September! It’s meant to avoid seasonal declines in the market, and I’ve used it more often than not. Sometimes I’ve benefited, other times I missed out on an unexpected spike in the markets during the Summer. You can’t time the market, but you can attempt to lock in gains and minimize losses. You see market sell-offs all the time. These are mini corrections and just people trying to time the market because they think it may go down, then they plan to jump back in and capture the dip. In May of 2008, the Dow ran between 12,818.34 and 12,638.22, so it was pretty flat that month. I don’t remember the exact date I got out of the market that May, but It was probably near the end of the month. In either case it was a presidential election year, and I was not 100% thrilled with John McCain, but I absolutely HATED the other option and I’d sooner vote for Satan than a Democrat. (Unfortunately my guy didn’t win that year.) The Dow closed at 9,625.28 On November 4th 2008. It plunged 500 points two days later and kept dropping. Fortunately as I knew that presidential election years are very unpredictable, I chose to stay out in May and remained out as I kept watching the market drop, and drop, and drop! It hit a low on Mar 05, 2009 of 6,544.10 before it started its long climb back. During this time I was still buying new shares of stock in my 401k, and even increased my paycheck deductions to 20% to capture these incredible bargains, all the while, my original balance total from May 2008 was locked away safely earning interest in a no-risk bond fund. When it got to May 2009, I uncharacteristically moved my nest egg back into the market and rode that elevator to the top! A co-worker wasn’t so lucky. He stayed in during the plunge, got out at the bottom and stayed out missing the rebound because of fear. #3 I was speaking about the market with a friend on December 16, 2017. He had his investments in a no risk fund, because he was fearing a crash, and was waiting for the ‘right time’ to re-enter the market. My investments were all in the high risk C Fund, or Stock fund. They still are, and probably will be for the foreseeable future. Anyhow, I told him there wasn’t anything to worry about and that the market would keep going up. December 15th 2017, the Dow closed at 24,651.74. Three weeks later on Jan 5th 2018 it closed at 25,295.87, up over 600 points. Let me tell you, I’ve been broke and deep and debt, and I’ve been debt-free and financially sound. Rich is better than broke. I’ve been investing for my retirement since I started working. If you keeping putting off investing in your 401k and building your savings because you’re afraid, you’ll always be broke. The USA has endured many disasters and tragedies which have impacted the stock market since its inception, yet it always rebounds and yields an average return on investments of above 10.5% over the long term. The fact is, if you let your life be ruled by fear and doubt, you will second guess everything, become skeptical with anything and succeed at nothing except making yourself miserable and poor. The decision is up to you, choose well. As always I wish you happiness and success! 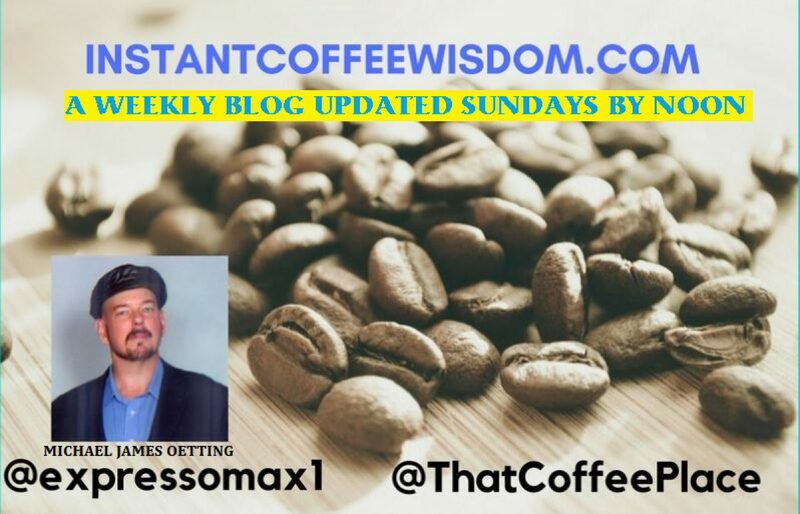 Author instantcoffeewisdomPosted on January 7, 2018 January 7, 2018 Tags 401k, debt, finance, happiness, Jesus, money, Secret, self help, self improvement, success1 Comment on You Can’t Time The Market!